Are you worried about giving out your credit or debit card details online? Worry no more! There is another option – an e-money account from a payment company, according to www.moneyadviceservice.org.uk. Using an e-payment company means you don’t have to give out your credit or debit card details when you shop online. This reduces the risk of fraud. An e-payment account provides another way to send and receive money online. An increasing number of people use e-payment companies because they can make it easier to transfer money and make purchases. They also mean you don’t have to share your card details. How does an e-payment account work? There are two main ways that e-payment accounts work. 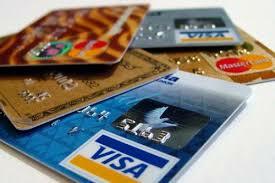 You can pay money into your e-money account using a payment card. When you shop online, the money is deducted from your balance, or if you are selling things, it is added to your balance. Link your e-money account to your payment card. There is no actual money in your account. When you buy online, the e-payment company charges the money to your card, or pays it to your card, if you are selling things. The first step is choosing which e-payment company to use. Set up an account, register your details and follow the instructions. Connect a bank card, enter your credit or debit card details. Once you are registered, you will be able to pay for purchases using your new account details. It is usually free to use e-payment services to buy things (though you may be charged for selling). These companies make their money by charging retailers. You may be charged for making or receiving payments in foreign currencies, or if you spend more money than you have access to. Why do people use e-payment companies? It is safe, you don’t need to give out your card details. It is quick, just type in your password. It is usually free, no charges for paying or setting up your account. What to do if there is a problem with a payment or purchase. If you have a problem with your purchase, the first thing to do is to talk to the retailer and try to get it sorted out. If you can’t get your money back from the retailer, you can ask for help from the e-payment company. A credit card is a secure and flexible way to pay and can be a good way to spread the cost of major purchases. But if you only make minimum payments or run up a bill you can’t pay back, credit cards can be costly. A credit card lets you spend money on credit. You can spend up to a pre-set credit limit. It depends on how confident your card provider is that you will pay it back. If you pay off the bill in full each month, you won’t pay interest on what you have borrowed (except for cash withdrawals, where interest is usually charged on a daily basis from the day you take your cash). If you don’t pay off any outstanding balance in full, then interest will be charged. It is usually backdated too, so if you bought something at the start of the month, you will be charged a whole month’s interest. Don’t be tempted to use credit cards at cash machines to withdraw money because you can be hit with charges. The interest rate for cash withdrawals is also usually higher than for purchases.